The Maletsunyane Abseil is the longest commercially operated single-drop abseil in the world, operated by Semonkong Lodge, Lesotho. 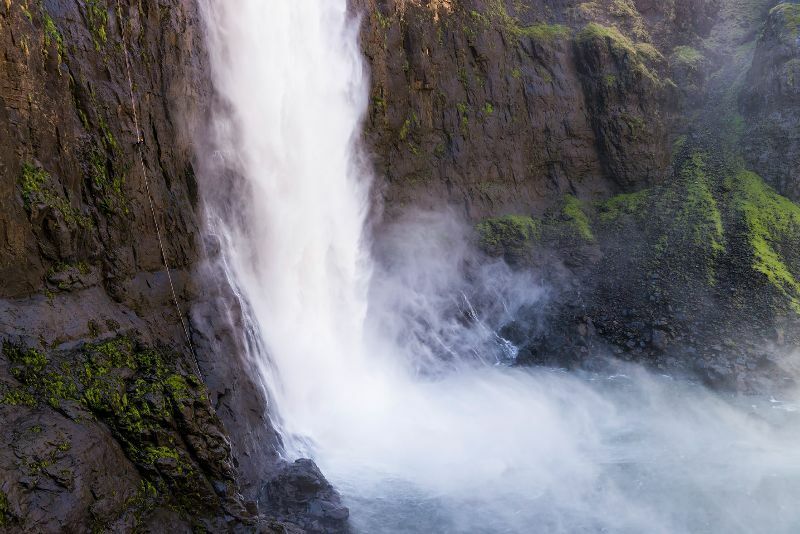 Set on the edge of the spectacular Maletsunyane Falls, this abseil descends 204m non–stop to the bottom of the gorge were few people dare to tread. As you stand on the edge of the falls you are exposed to all the elements of the gorge & Mother Nature herself. The abseil itself is an extremely exposed straight drop where at times you are suspended in mid-air with the spray of the waterfall upon you & the birds of the cliffs flying around you. This is abseiling at its best and most exciting. The abseiling includes a half-day of training in and around the Lodge, on much more subdued cliffs of only 25m. Here our qualified guides help you to get familiar with the equipment and the techniques used on this extreme abseil. The following morning, while the air is still fresh, you take a 4X4 drive out to the abseil site where the real fun begins. This is not for the faint-hearted. A maximum of 15 people per training for the Maletsunyane Falls abseil. Alternatively, for a more relaxed afternoon you could choose to spend the afternoon abseiling on the pleasant cliffs around the Lodge at LSL270.00 per person. Should we, for whatever reason, have to cancel the 204m abseil, you will be charged per person for the training at LSL270.00 per person. Should you cancel on the day of the 204m abseil, you will be required to pay the full amount per person. What to bring: Please ensure you have a good pair of hiking boots, quick drying pants or a change of clothes (you may get wet and it is not fun hiking out of the gorge with wet jeans), a good wet weather jacket if you have and sunblock. Long hair must be tied back please. 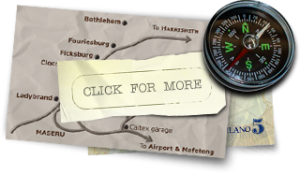 Option 1 – 204m abseil inclusive of your certificate & photos of the day via drop box – cost per person LSL1 200.00. Option 2 – 204m abseil special inclusive of a lunch, an abseil T-shirt, an abseil keyring with your certificate & photos of the day via drop box – cost per person LSL1 850.00. (Minimum of 4 Pax). Feeling up to it? We dare you!